Griffin Banjos make powerful, sweet sounding instruments of great beauty, renowned for their ease of playing. Of heirloom quality, these banjos will last a lifetime and can hold their own in any company. 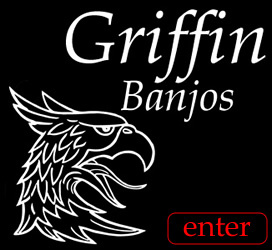 Do have a look at the other pages for more information about Griffin Banjos, how they are made in Construction, and see some of the finished instruments in the Gallery.